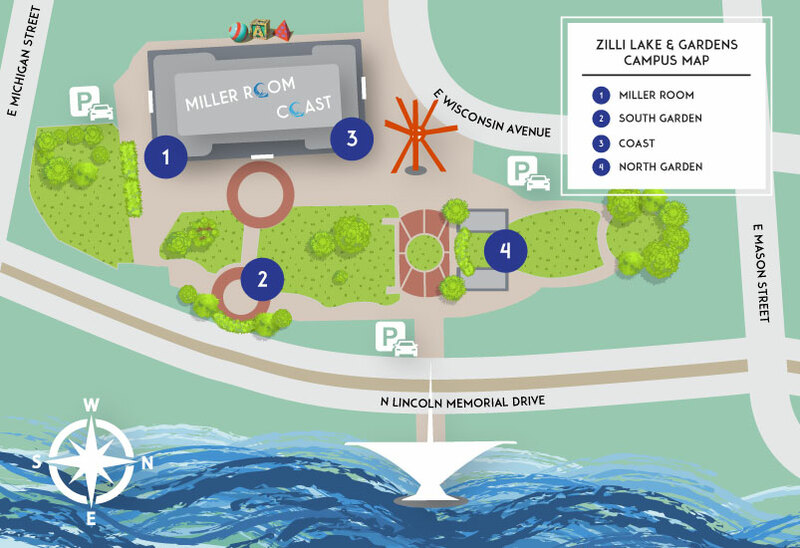 The easiest way to access Zilli Lake and Gardens is through the O’Donnell Parking Structure located on 910 E. Michigan Avenue. Additionally, there are entrances on Lincoln Memorial and Wisconsin Avenue (coming soon). Once in the parking structure, take the elevator to the first floor and follow the signs. There is also street parking available. Have Questions on Directions or Parking? Give us a call and we will be happy to point you in the right direction.